What looks like ginger, has a slightly citrusy smell and earthy taste, and gives Indian curries and our favorite bottled mustards their vibrant gold coloring? If you guessed turmeric, you are correct! Often referred to as the “Golden Spice of Life” and “Poor Man’s Saffron”, turmeric is native to southeast India and has been used in the region for thousands of years for its culinary, medicinal, and coloring properties. The rhizomes (underground stems of a plant) of the turmeric plant look like the fresh knobs of ginger you’d find in the market. The ground turmeric we are used to finding in our spice racks is made by boiling, drying, then grinding the rhizomes into a powder, but turmeric is also available in its fresh root form and also as a whole dried root that you can grind yourself. Fresh turmeric has a more vibrant flavor than its dry counterpart, so it’s especially well-suited to sautés and smoothies, whereas dried turmeric is better for lending color and subtle flavor to roasted vegetables and dishes like rice pilaf. If you only dig out your jar of turmeric for the occasional curry dish, you’re missing out. You have a jar of untapped potential languishing away among your cupboard’s odds-and-ends. Alongside adding depth of flavor to your soups and braises, the spice has powerful medicinal qualities that have gained attention in recent years. Studies have shown that turmeric is a potent anti-inflammatory and its main active ingredient, curcumin, is a powerful antioxidant. Turmeric can aid digestion, boost memory, help you sleep, and even help treat (and possibly prevent) arthritis, heart disease, cancer, and Alzheimer’s. 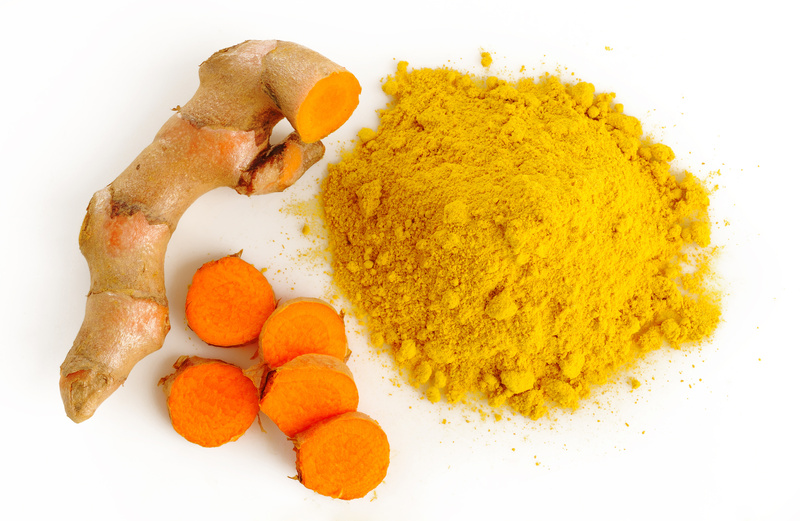 Try including turmeric powder into your beauty regimen. Its antiseptic properties can be used to treat burns. You can also mix it with besan (gram flour) and water to create an exfoliator. Blend it into a smoothie — its slight bitterness will be masked by the other ingredients. Brew it! Simmer turmeric with milk (or your dairy substitute of choice) and honey for a comforting beverage when you’re feeling under the weather. We love making this turmeric milk at night. Pickle it for a unique side dish–preserved with lemon and salt, it’s crunchy, tangy, and has a bit of a kick to it. If you want to focus on curcumin’s full effects, invest in a bottle of turmeric extract. Curcumin is poorly absorbed into the bloodstream, but studies have shown that consuming it with black pepper enhances absorption. The next time you restock your spice rack, consider giving that jar of turmeric an eye-level shelf upgrade. With its rich history in cooking and traditional medicine, it’s about time we put turmeric to good use.